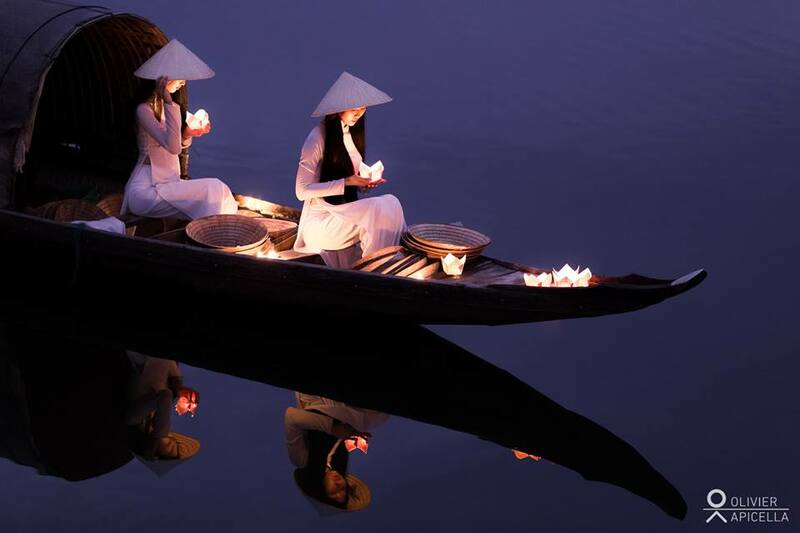 Vietnam – a bucket list location for any photographer interested in the many splendors of travel photography. 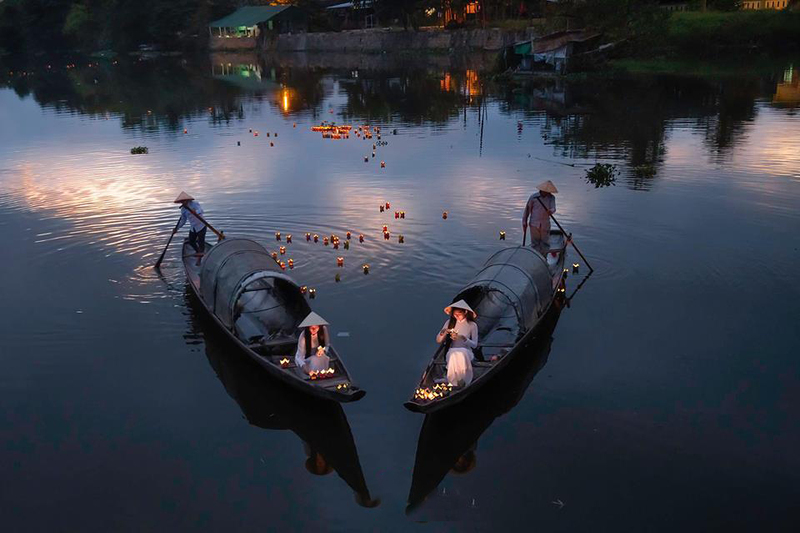 One of Southeast Asia’s most vibrant cultures that offer spectacular scenery, stunning historical sites, colorful ethnic groups that rank it among the great photographic destinations of the world. This photo tour is tailored to have you in the right locations with the best light for all our planned photo shoots. The tour is designed to provide you with a mix of street photography, people portraiture, landscapes & the work environment like fishing and salt collection. 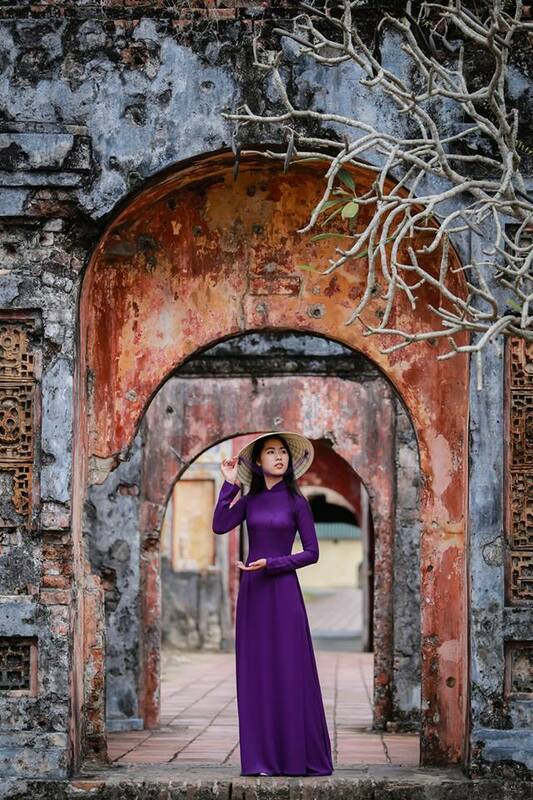 The tour includes arranged photography in beautiful locations with professional models and local village folk. This is not a photography workshop but an intense photo tour. We want this to be a fun photography adventure and all instruction is informal and voluntary. This is an all-encompassing tour that includes hotels, meals, and transportation from the day of arrival to the day you depart. Colorful ethnic people of the land. DAY 1. Arrive Saigon. Based on the time of arrival meet for lunch at the hotel. 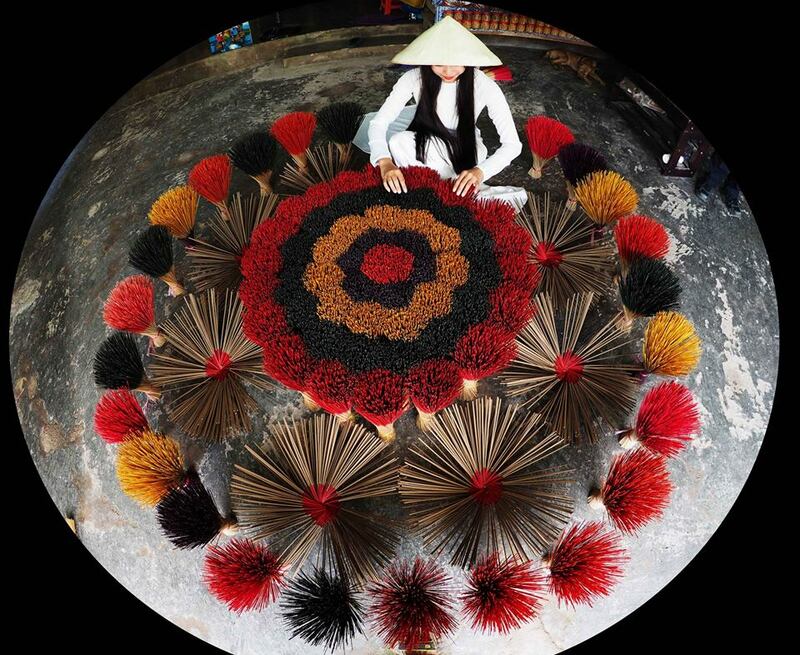 Photograph the city – potential locations include Notre Dame Cathedral, Thien Hau Pagoda or the Jade Emperor Pagoda. Before dinner, we will photograph the city skyline from Chill Skybar. Dinner. DAY 2. SAIGON TO PHAN RANG after breakfast. Sunset —with models wearing traditional attire in Nam Cuong sand dunes. 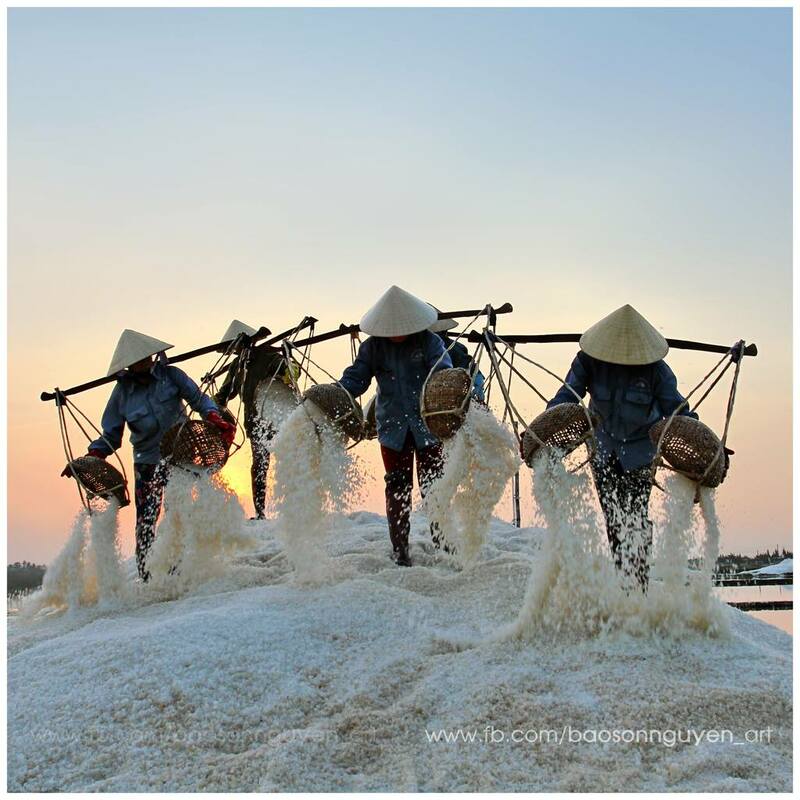 Sunset — at Hon Khoi salt fields with models. Sunrise—on the river in a boat with fisherman throwing fishnets. Ideal lenses are medium telephoto lenses and wide angle lenses. 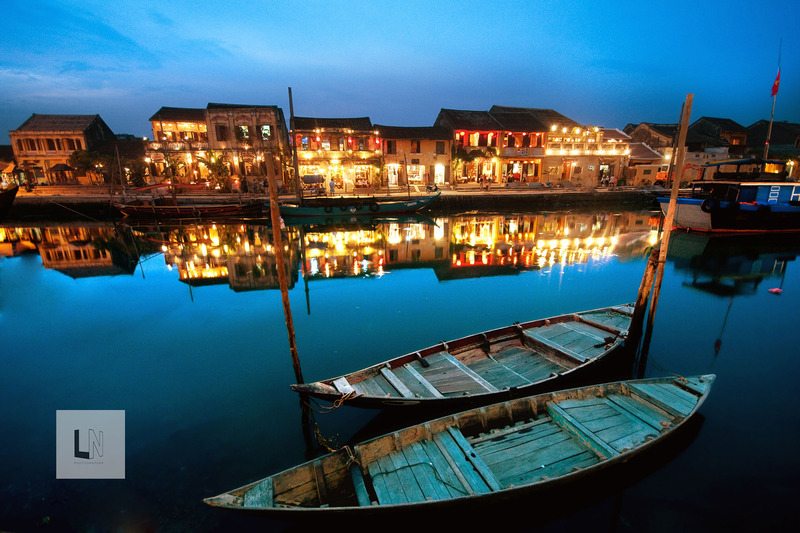 Bring your fastest lenses as there will be opportunities for low light and night photography. You will rarely need anything more than a 200 mm lens. We will be staying at 4-star hotels. Registration is limited to a maximum of 6 people. Fees include accommodation, meals (dinner on day 1 through breakfast on day 11) and all ground and air transportation in Vietnam. Photographer fees and an English speaking guide. All entrance, zone and camera fees. All local model & village donations. The fee does not include your airfare to and from Ho Chi Minh City, Vietnam, airport taxes, visa fees, travel insurance (highly recommended), personal expenses, tips including the end of trip gratuities for drivers and guides, alcoholic beverages, telephone, laundry, personal travel if incurred and incidentals. Please complete the registration and release forms. A deposit of $1,875 is required to confirm your reservation. The balance is due by February 15, 2019. Please make your payments to Shiv Verma and mail them to 652 Dedham Street, Wrentham, MA 02093-1149. Credit cards are accepted with a 3% processing charge. Click Here for Additional details, enrollment forms, and release forms.